Traveling is fun and enlightening for most people. You get to see new sights, take pictures for your Instagram, eat the local food and experience a whole new culture. But if you have a vision problem, your eye doctor probably told you to take your contact lenses with you so you can actually see properly during the trip. In this post, Lifetime Vision Source™ discusses the seven things you should avoid doing if you’re traveling with your contact lenses. Avoid Wearing Your Contact Lenses for Too Long – Traveling is fun, yes, but sometimes you’ll probably get so caught up in the moment you’ll forget you’re wearing contacts and end up wearing them for too long. Doing so can cause your corneas to become swollen, dry and deoxygenated, leading to corneal scarring, irritation and possibly a permanent loss of vision. So consult your eye doctor about when you should take the contacts off. Avoid Sleeping While Wearing Them – Traveling is tiring. When you get back from completing your itinerary for the day, no doubt you’ll just want to drop on your bed and be dead to the world for at least a few hours before tomorrow’s outing. That’s fine and all but don’t forget to remove your contacts before you sleep or they might stick to your corneas, making removal difficult and painful. This common mistake leads to eye irritation, at the very least. Forgetting to Change the Case – Don’t forget to rinse your case with hot tap water or multipurpose solution before air-drying and wiping it with a clean towel. Replace your case several times a year; ask your doctor for the best advice for you. Putting Your Solution in Different Bottles – Flying has become more strict these days, so you might resort to transferring your solution to a smaller bottle allowed onboard. We advise against doing this because the bottles you use may have infectious microorganisms and might contaminate the entire solution in the process. Buying Lenses from Unlicensed Eye Centers – Only buy from a licensed vision center if you happen to lose your lenses during the trip to prevent getting scammed or any other potential dangers. Remove Your Lenses When Your Eyes Are Irritated – If your eyes are bothering you, remove your contacts as there could be a tear in the lens. Rubbing Your Eyes – If you have a tendency of rubbing your eyes and do it while wearing your contacts, you could put yourself at risk and develop a condition called keratoconus, which could lead to blurred vision or the need for a corneal transplant. 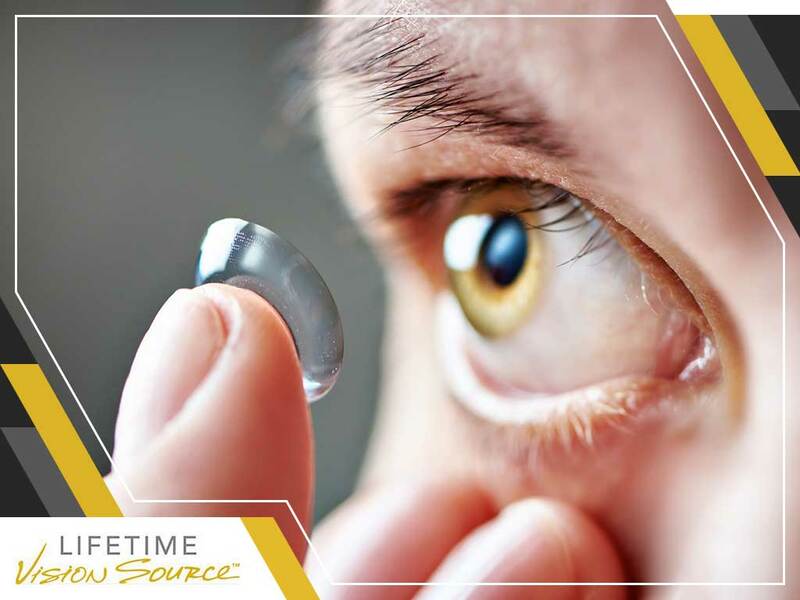 If you have any concerns and need a contact lens exam, don’t hesitate to turn to Lifetime Vision Source™ for your eye health needs. We are your provider of eye care and eye care products and services. Give us a call at (701) 864-3777 or fill out our contact form if you would like to learn more about our products and services. We serve clients in Valley City, ND, and other nearby areas.